Lhota took shots at the Daily News, the Citizens Budget Commission, the de Blasio administration and a leading transit advocate during his testimony, but did have kind words for The Who. This brief is part of a series about the city’s bus system. The city’s buses and their 2 million daily riders didn’t get a lot of attention at a City Council budget hearing on the Metropolitan Transportation Authority on Thursday. 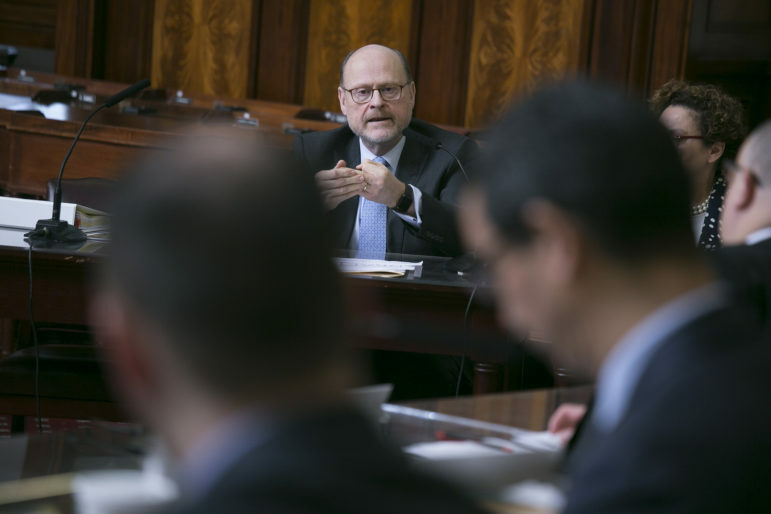 The focus of the 90-minutes of back-and-forth between Chairman Joe Lhota and the Council’s transportation committee was on the state of the subways, the shape of the action plan intended to address them, and who is going to pay for it. Ydanis Rodriguez, the committee chairman, did manage to get buses into the record, however. “What about buses?” he asked. “What is the bus action plan that we should expect New Yorkers to see?,” he added, a reference to the MTA’s bus chief, Darryl Irick, saying late last month that a bus action plan—parallel to the subway plan—would come out this spring. He also supported the deployment of cameras to capture bus-lane violators. “I think the city needs the ability to enforce the bus lanes.” And he endorsed wider use of all-door boarding, which was also noted in the city’s own bus strategy, Bus Forward, released in October. Unlike the subways, which are controlled by the state (and the subject of intense argument over who is obligated to pay for fixing them), the bus system responds to policy from both the MTA and the city. It’s the city that determines the siting of bus lanes, stops and shelters. And the city and state have partnered productively to introduced 15 select bus service (SBS) routes around the city since 2008. A key technological component that some—but not all—SBS routes have, and that advocates hope to see used much more broadly throughout the bus system is transit signal priority, which can time lights to give buses a faster path. While the city has to install elements of TSP on its traffic signals, the buses themselves have to be equipped with transponders to work. Manhattan Councilmember Mark Levine asked about how many of the city’s 5,800 buses were equipped for TSP. MTA staff on hand didn’t know the number, but said it was in use on seven of its routes. (New York City Transit runs 236 local bus routes, 62 express bus routes, and 11 Select Bus Service routes, while the separate MTA Bus Division runs 83 other routes.) The MTA is planning to get TSP on to 5,700 of its buses and says it is accelerating the timetable for doing so. What’s wrong with the city’s buses? What’s right with them? A video by Marc Bussanich with Jarrett Murphy. The MTA has been studying the Staten Island bus network for two years. Just this week the agency released it’s latest express bus plan. The local bus network will be more of a problem because Staten Island lacks a true street grid which makes adding new routes difficult. “It’s about two other things: the routing and the congestion.” That is clear to everyone who depends on buses on a regular basis. Many factors contribute to congestion; some are more easy to address than others. For example, construction will block lanes and there’s not much one can do about it. Citibike furniture eats up a lane, and I guess that is the way it will be for the foreseeable future. Look: parking and standing rules can be enforced. But I see little of that. For example, trucks, vans, and cars stop or even park in the bus lanes routinely in the Upper East Side. I never see any of them being ticketed. They should be. Let’s create incentives for deliveries to occur before 6 am or after 7 pm, for example. Let’s build municipal parking that does not gouge the driver, but instead offers a sane per hour rate for the one-time parker. If we are serious about improving surface transit, then we need to be serious about our bus lanes. There are ways to do that. Let’s just put our thinking caps on. I can’t think of one instance where there is a Citi Bike station in what would otherwise be a moving lane. Bike share docks mostly belong in parking spots, they are vehicles that use the street and the sidewalks are such a limited portion of street space already. And parking enforcement is going to change dramatically in the near future. Right now city vehicles are being fixed with license plate reading cameras. 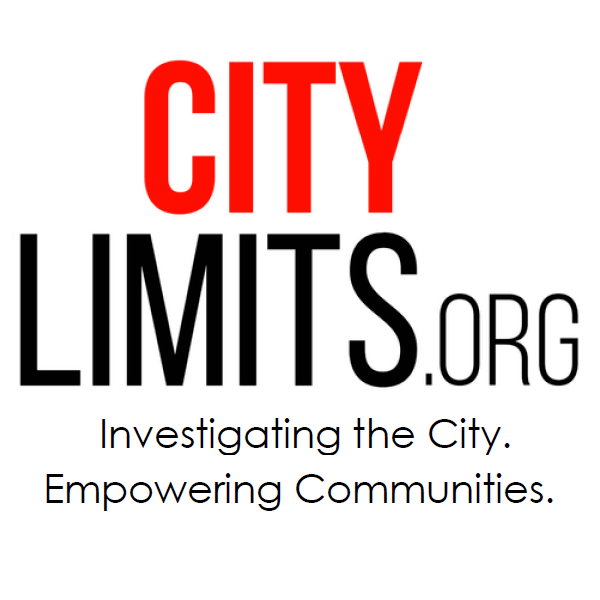 Some cities enforce traffic regulations in that way, automatically issuing summonses to illegally parked vehicles. The city is indeed piloting off-peak deliveries, and congestion pricing would assist that transition. Municipal parking is a waste of space, just increase the cost and expand the number of meters to increase turnover. Again congestion pricing would help reduce volumes. How about bus dispatching that responds to on the ground changing needs? So if 4 buses are bunched, 2 of which are empty, shouldn’t at least 1 be sent elsewhere on the line? The routes seem to operate on auto-pilot, with little to no oversight. The mayor has proposed expanded select bus service. The roll-out is too slow for many advocates. Meanwhile, bus drivers say increased bus-lane enforcement is necessary.